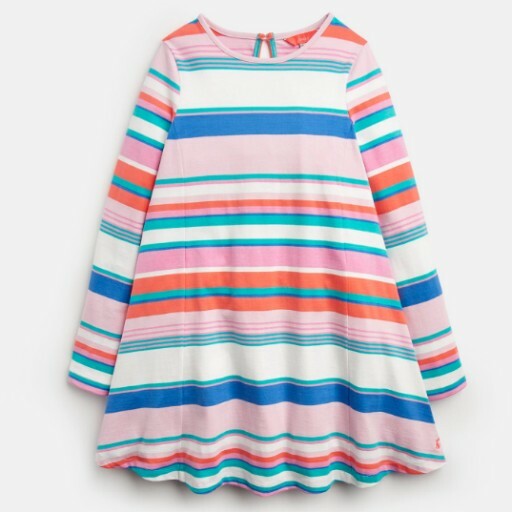 A swing-shape, A-line dress is a truly useful item in any little one’s wardrobe. Easy to move in, soft to the touch and comfortable too. In new season Joules prints and with a button up back.